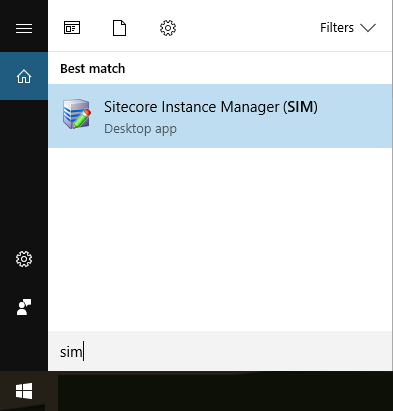 Please refer to Sitecore Instance Manager (SIM) repository on GitHub for details. This is a ClickOnce installer that installs the application and provides automatic updates. Once the app is installed, it can be launched normally via start menu or pinned to taskbar. Optionally, you can install QA version side by side which delivers bug fixes much faster.